The preview data from GWEC’s Global Wind Report forecasts that a further 6.5 GW capacity will be added by 2023 – this would mean more than double the current installed capacity of 5.7GW. 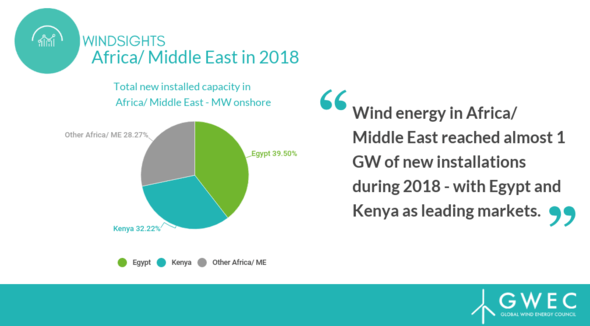 The top three markets in Africa and the Middle East in 2018 were Egypt with 380 MW of new wind energy capacity, Kenya with 310 MW and Morocco with 120 MW-. These latest figures released by GWEC form the statistical release of the Global Wind Report which will be released in April in full.